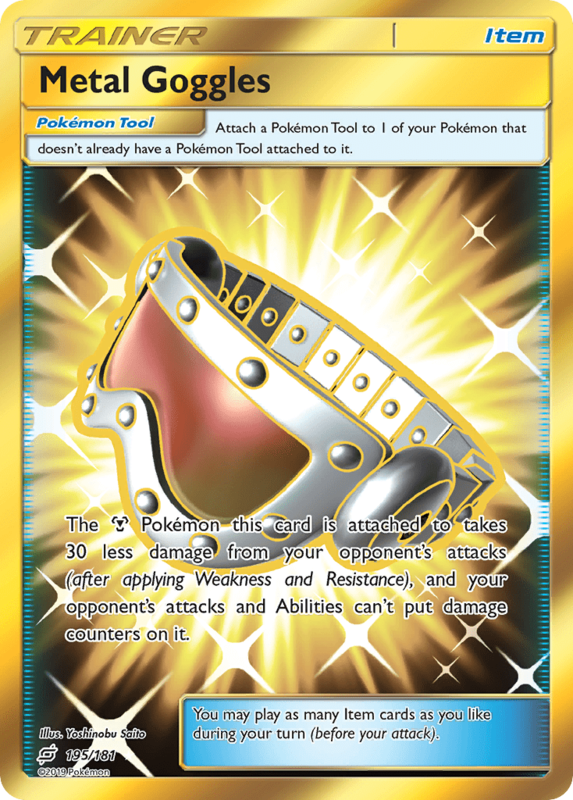 The [M] Pokémon this card is attached to takes 30 less damage from your opponent’s attacks (after applying Weakness and Resistance), and your opponent’s attacks and Abilities can’t put damage counters on it. If the [P] Pokémon this card is attached to is Knocked Out by damage from an opponent’s attack, put 4 damage counters on your opponent’s Pokémon in any way you like. 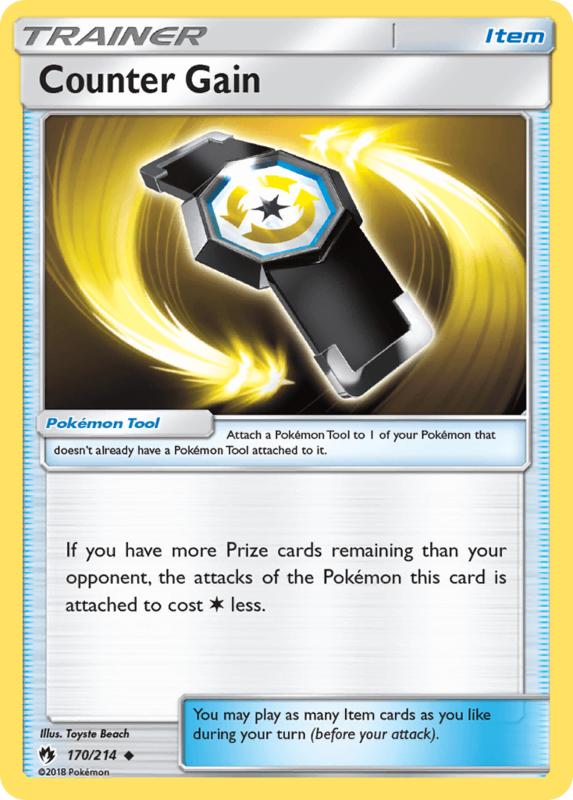 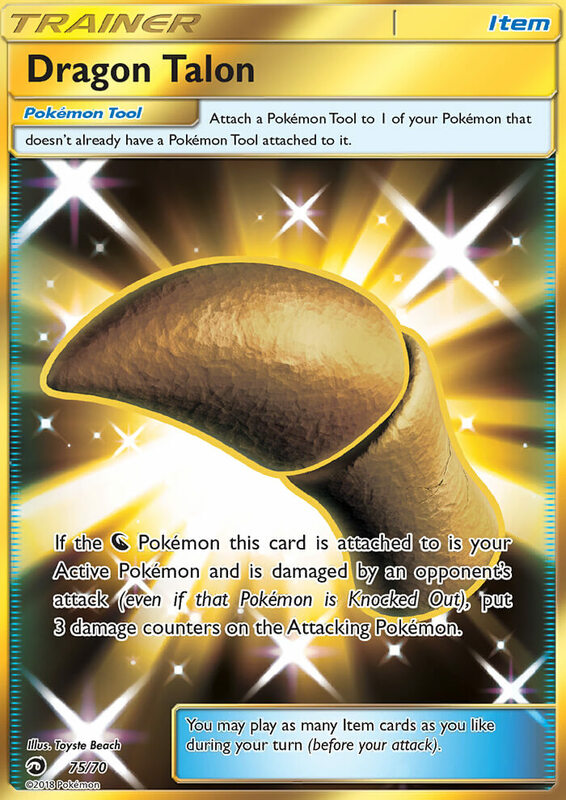 If you have more Prize cards remaining than your opponent, the attacks of the Pokémon this card is attached to cost [C] less. 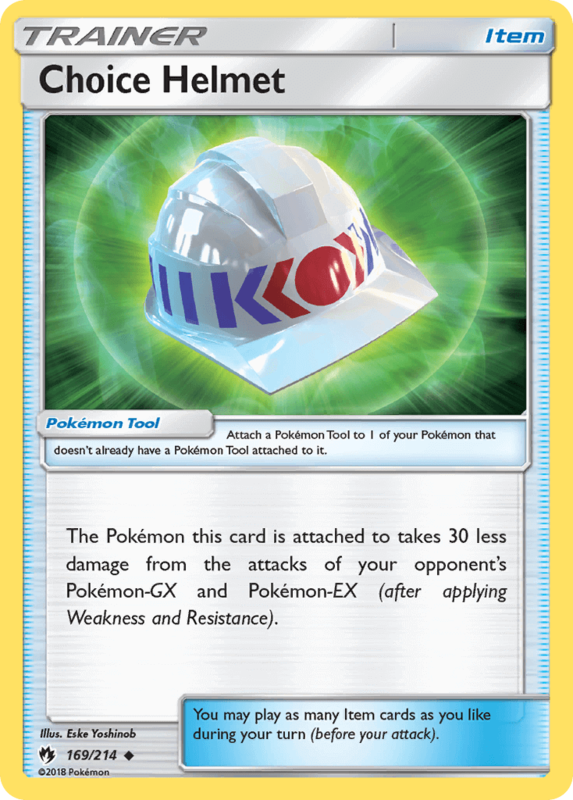 When the [P] Pokémon this card is attached to is Knocked Out by damage from an opponent’s attack, put 4 damage counters on your opponent’s Pokémon in any way you like. 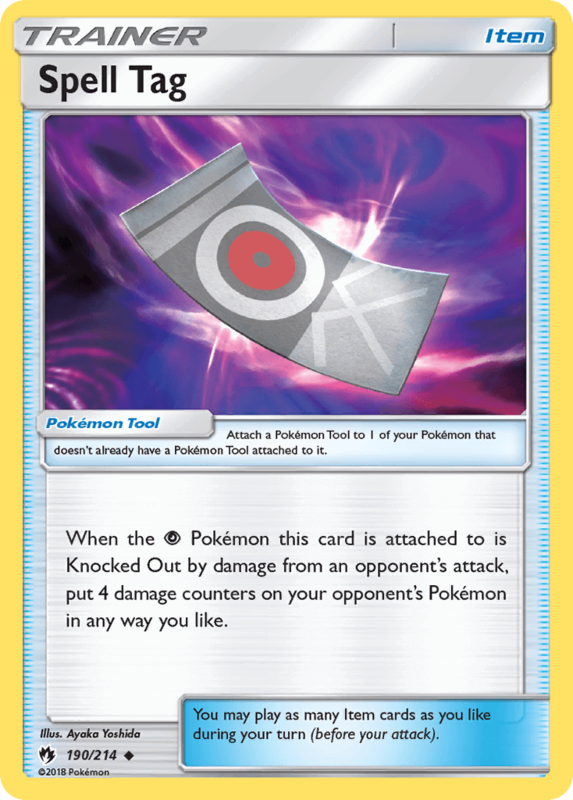 Prevent all damage done to the [Y] Pokémon this card is attached to by attacks from your opponent’s [N] Pokémon-GX and [N] Pokémon-EX. 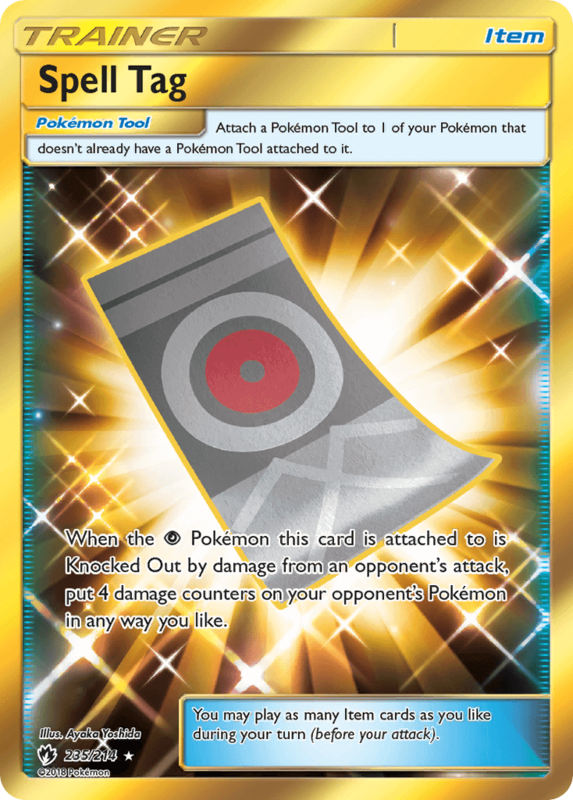 Prevent all damage done to the [Y] Pokémon this card is attached to by attacks from your opponent’s [F] Pokémon-GX and [F] Pokémon-EX. Prevent all damage done to the [Y] Pokémon this card is attached to by attacks from your opponent’s [P] Pokémon-GX and [P] Pokémon-EX. 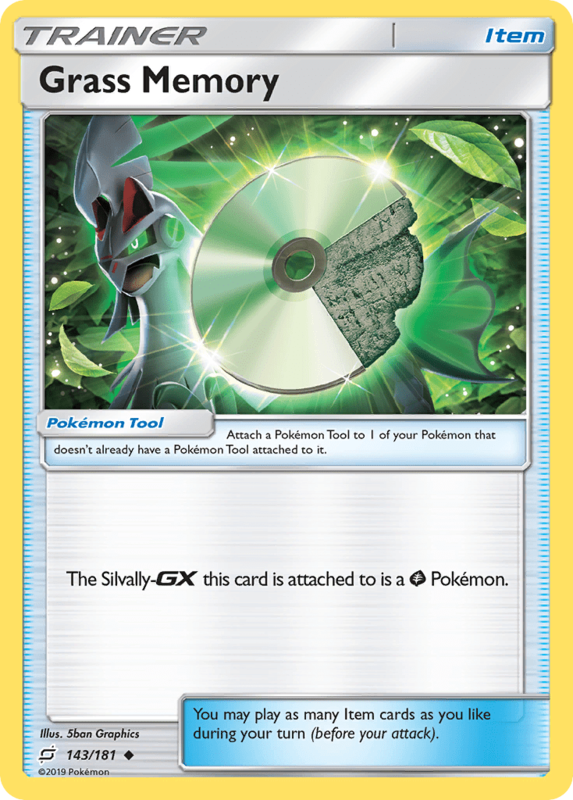 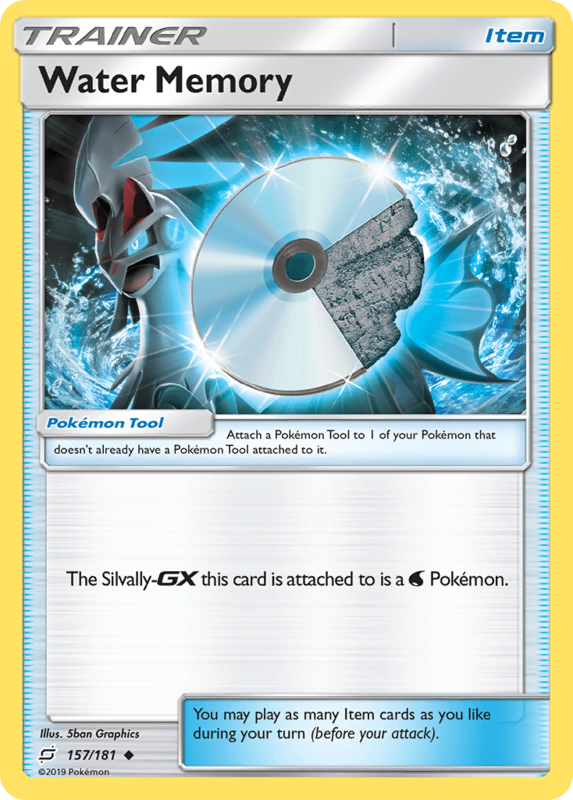 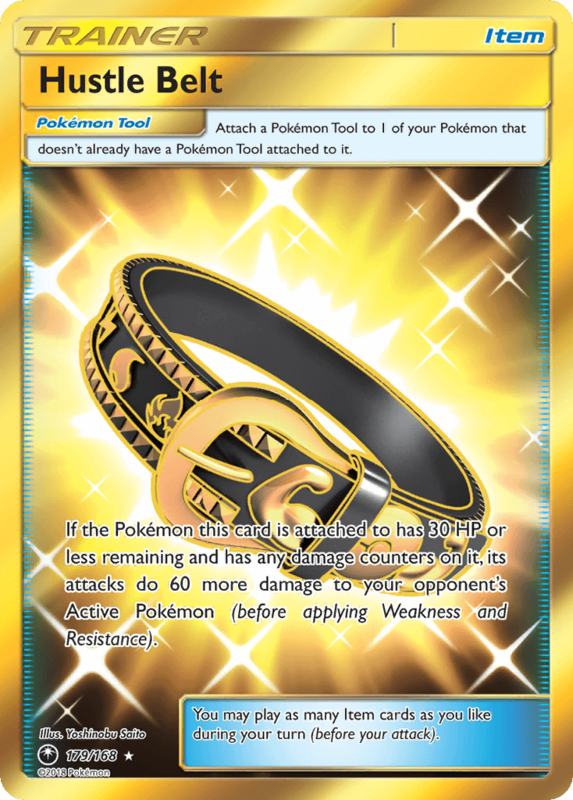 Prevent all damage done to the [Y] Pokémon this card is attached to by attacks from your opponent’s [G] Pokémon-GX and [G] Pokémon-EX. 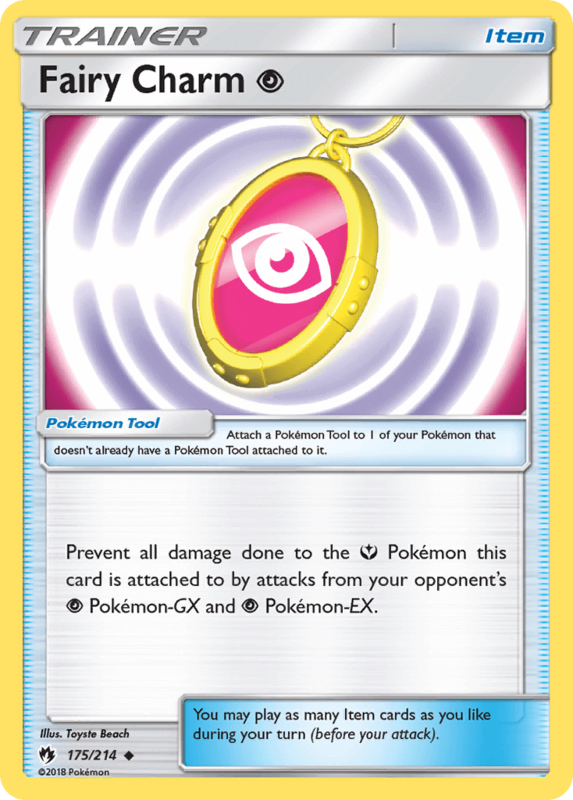 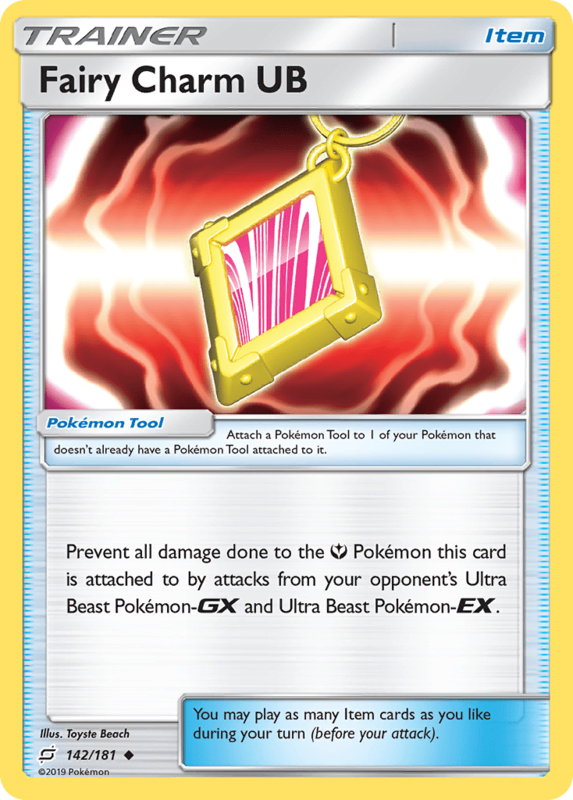 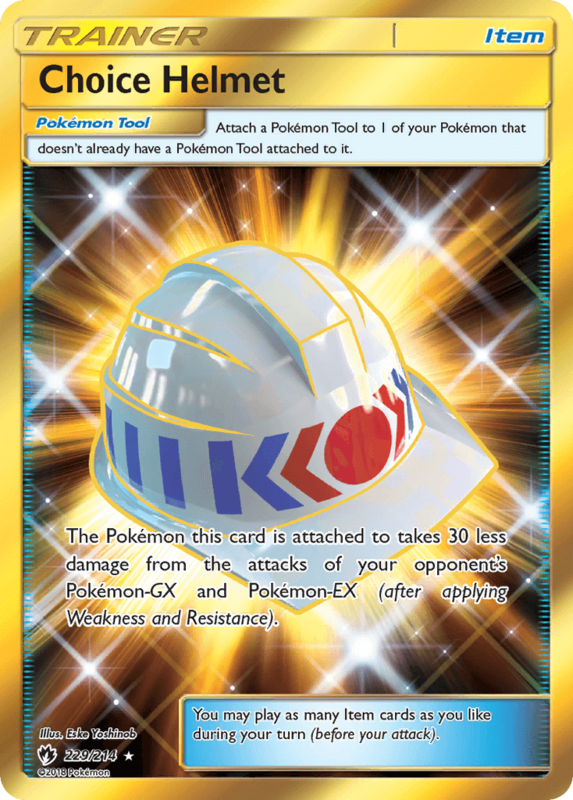 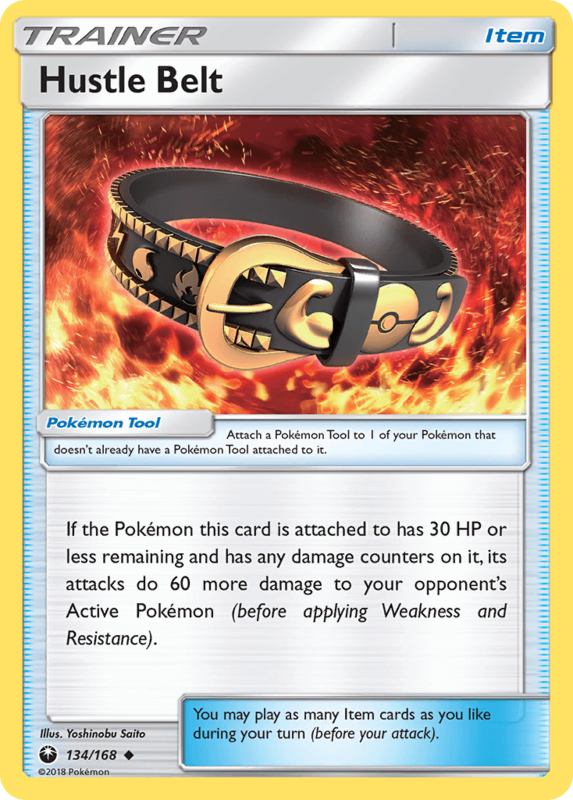 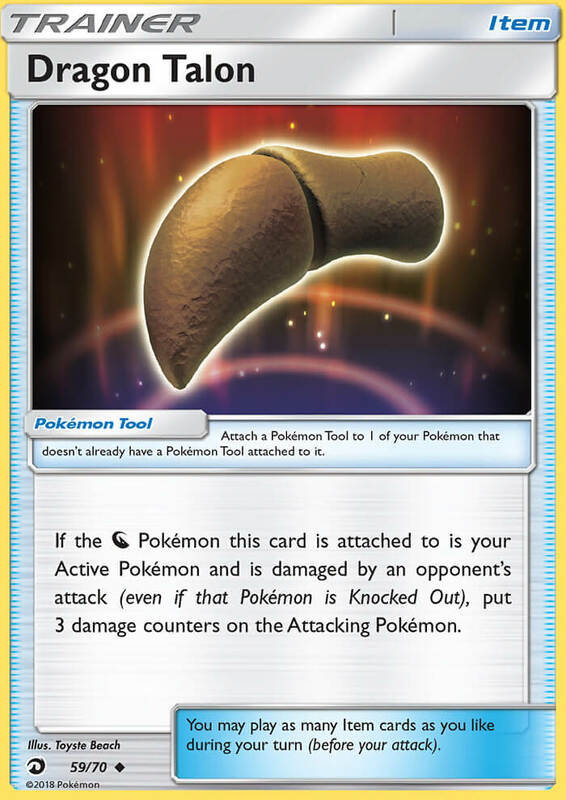 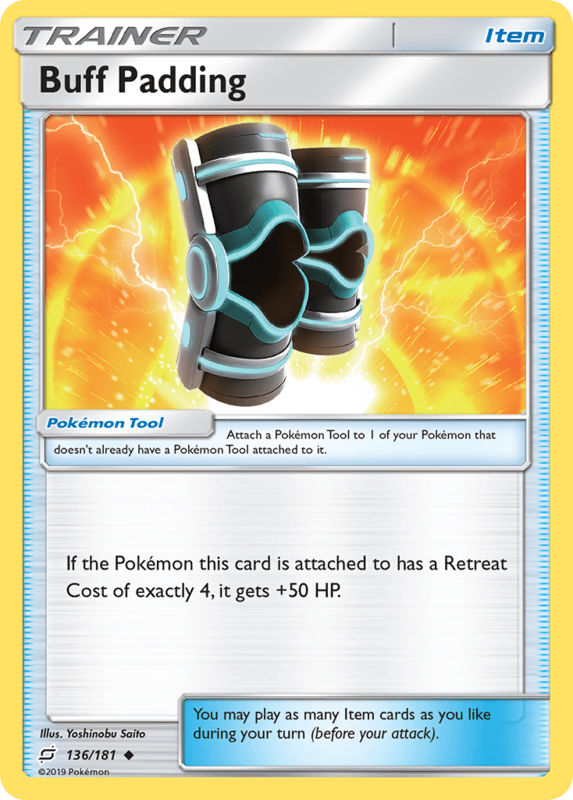 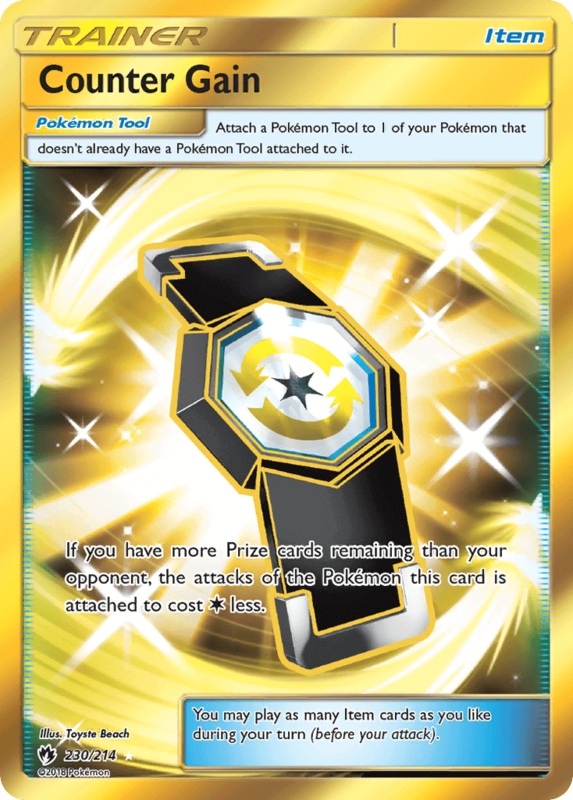 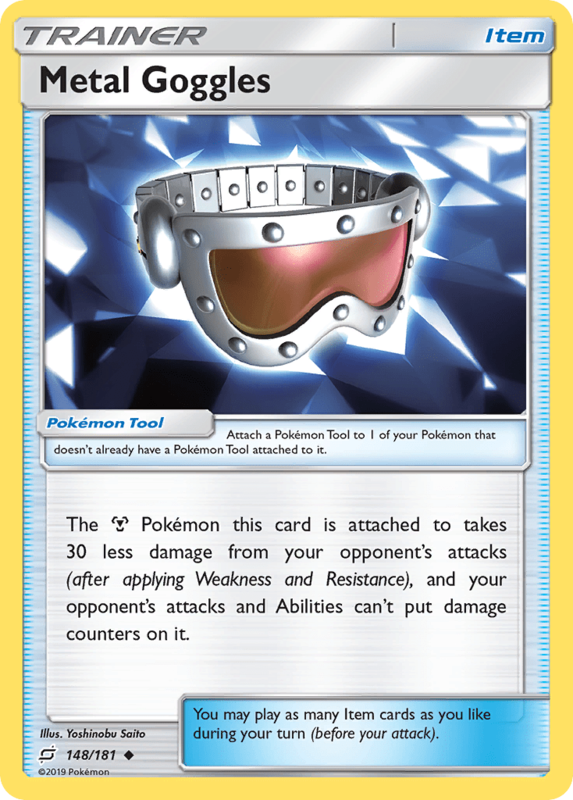 If the [N] Pokémon this card is attached to is your Active Pokémon and is damaged by an opponent’s attack (even if that Pokémon is Knocked Out), put 3 damage counters on the Attacking Pokémon.